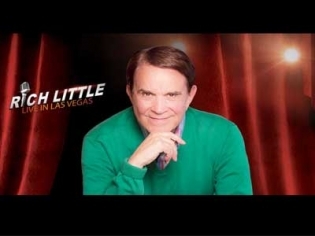 Book online to save 35% on show tickets to Rich Little Live. Use the link provided to get the best deal on show tickets. Name a famous person or a celebrity and chances are Rich Little can mimic them without any preparation. A comedy icon of the 70’s, he appeared on many TV shows and is known for his Ronald Reagan and Frank Sinatra impersonations. He is also a master comedian, you have to be funny even if you are speaking in a celebrity’s voice! He reminisces about his career and tells intriguing stories about all the celebrities he has met. This show is nostalgic and you will be entertained by all the old videos he shows of past performances. A definite must see if you are over 50!